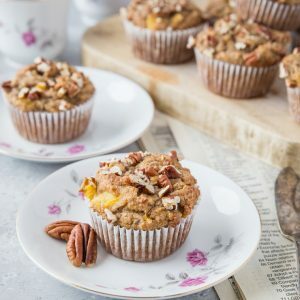 Moist, fluffy, grain-free and naturally sweet paleo hummingbird muffins make for an amazing breakfast or snack. Is it safe to discuss muffins yet? 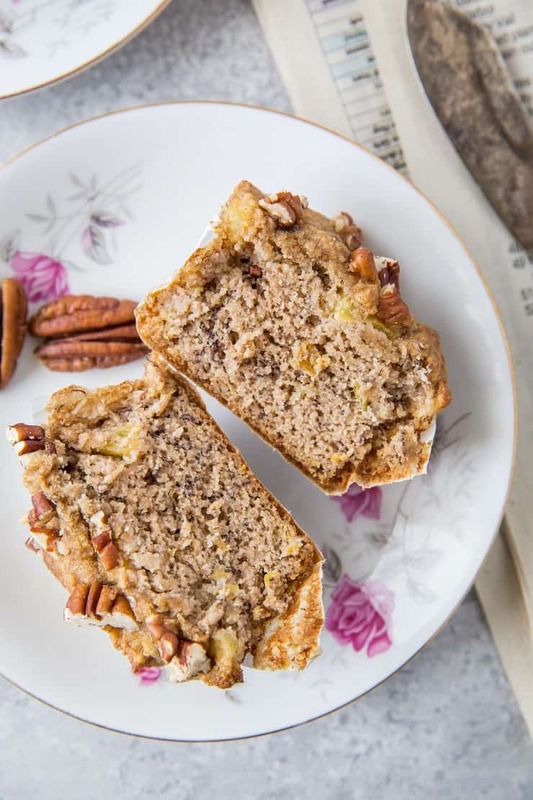 If you did a Whole30 or a little paleo re-set in January, you may be ready as can be for a baked treat. Well, great news! 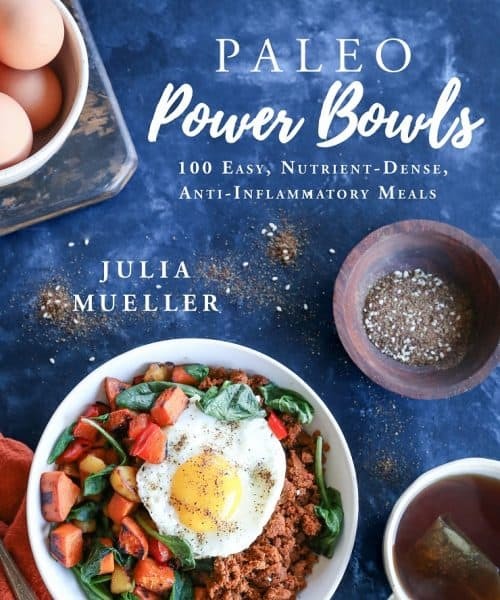 Not only are these muffins so incredibly tasty, but they’re actually nutritious and pretty great from a macronutrient standpoint. Meaning, you don’t need to feel guilty whatsoever about consuming them…not that we’re capable of feeling guilt ‘round these parts, right? Right! What exactly is a hummingbird muffin? 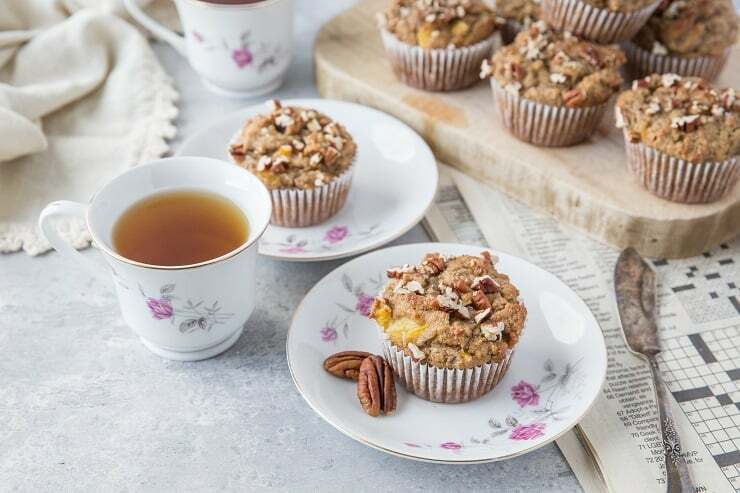 Hummingbird muffins include pineapple, banana, and pecans. While they traditionally are made with all-purpose flour and sugar, I replace the wheat with almond flour and simply omit the sugar. 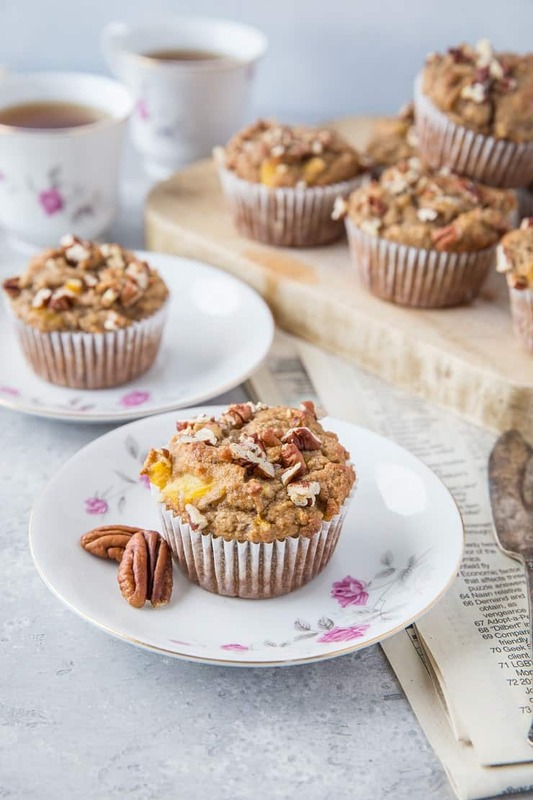 We end up with a moist, naturally sweet, fluffy muffin that is perfect for breakfast or snack. They’re grain-free, refined sugar-free, dairy-free, and oil-free…basically an epic win! 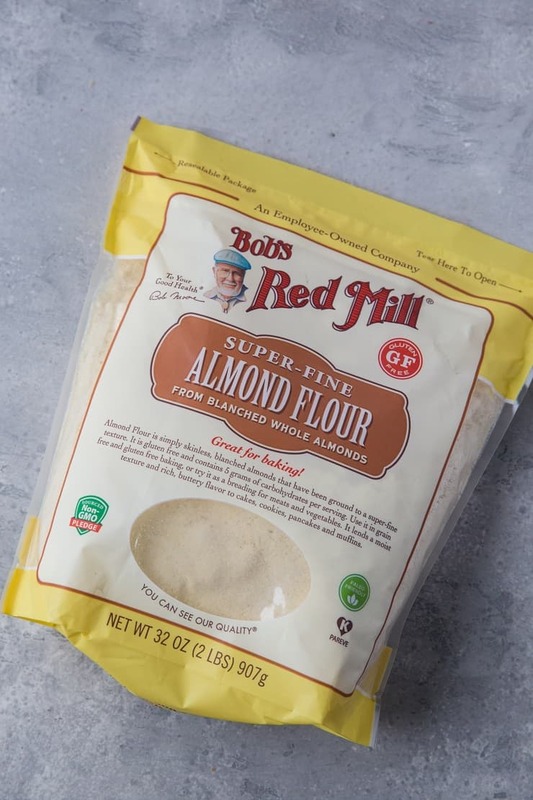 I use Bob’s Red Mill Finely Ground Almond Flour for these muffins. 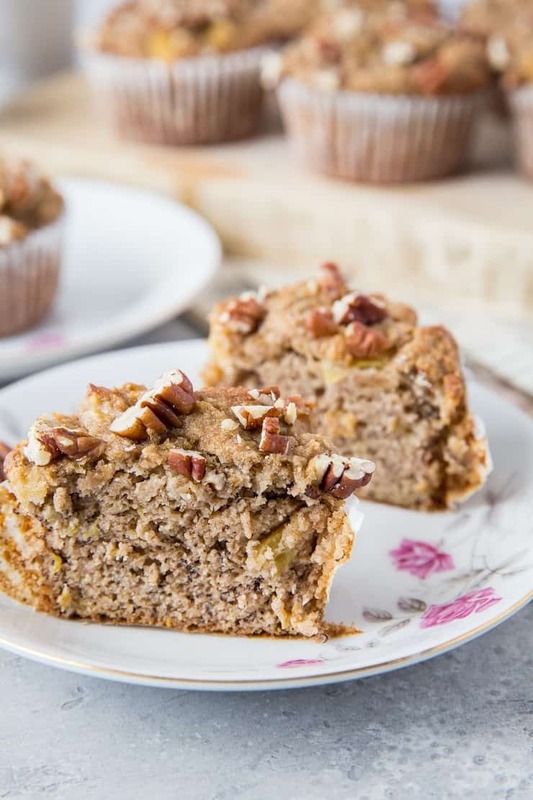 As you already know, the majority of my baked goods are made using almond flour – it’s simply my favorite of all the grain-free flours because the texture turns out nice and fluffy, and I thoroughly enjoy the health benefits of it! Start by whisking together the wet ingredients – I simply mash the bananas in a measuring cup, then whisk in the eggs and pure vanilla extract. In a separate bowl, Stir together the almond flour, cinnamon, baking soda, and sea salt. 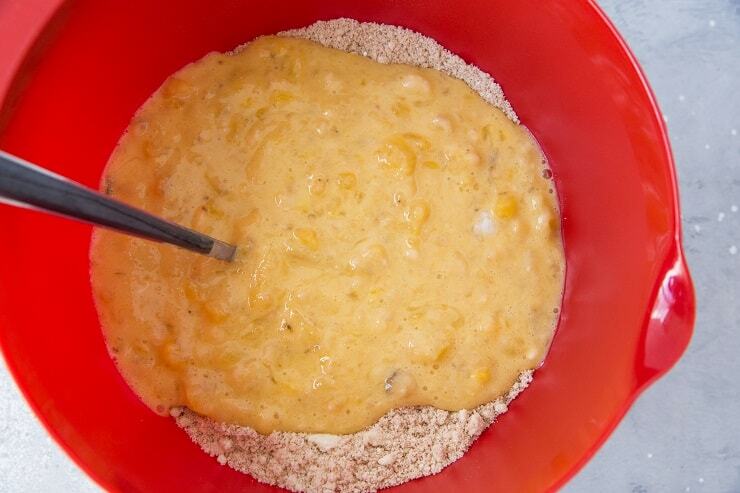 Combine the two forces – mix the wet ingredients into the mixing bowl with the dry ingredients. Line a muffin tray with muffin papers, then fill the holes ¾ of the way full with batter. Sprinkle with chopped raw pecans, and BAKE! 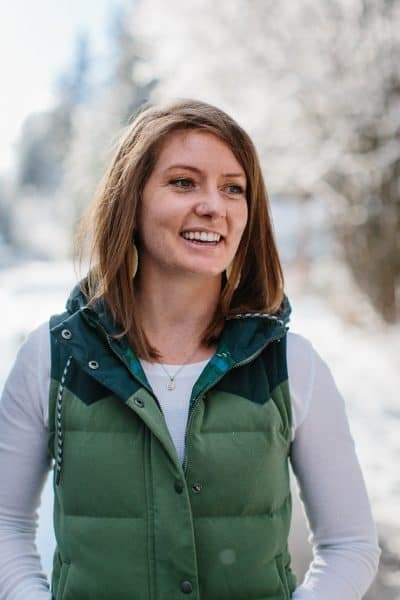 Share with your favorite people and enjoy! 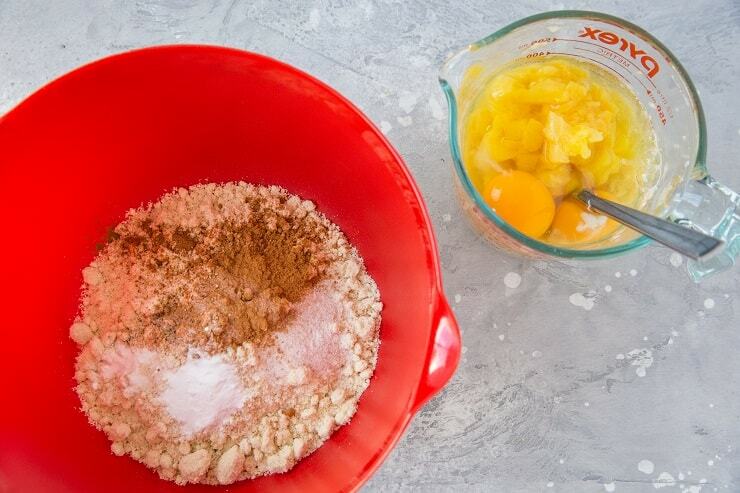 Stir together the first four ingredients (dry ingredients) in a mixing bowl. 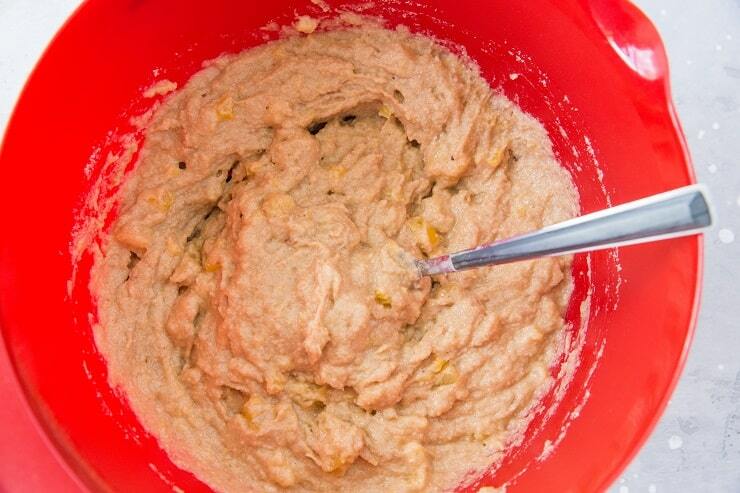 In a separate bowl, whisk together the eggs, mashed banana, pineapple, and pure vanilla extract (wet ingredients). Pour the wet ingredients into the bowl with the dry ingredients and stir until combined. Fill the muffin holes 3/4 of the way up with batter and sprinkle with raw pecans. Bake 20 to 25 minutes, or until muffins are golden-brown around the edges and feel firm when poked. 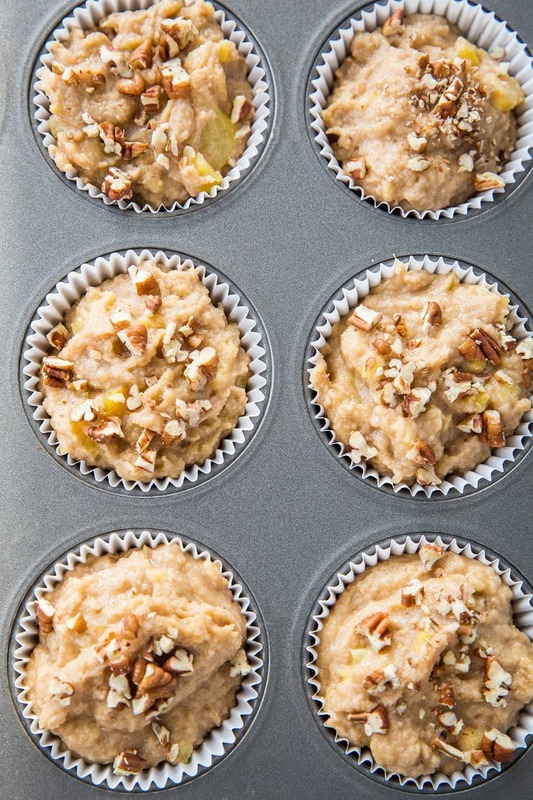 Allow muffins to cool at least 30 minutes before serving. *I used canned pineapple that I chopped finer. Could you use fresh pineapple? Do you know calories per muffin? I’m assuming these are fairly large since they are in a 9 muffin pan. We are on a healthy calorie counting diet and would love to try these. Thanks. My apologies, Jeannie – that was a typo. There’s no pure maple syrup, just pure vanilla extract. You have missed adding the maple syrup to the ingredients so we have no measurements. Can you use crushed pineapple? I haven’t tested it in a loaf pan yet, but I’m willing to bet it would work marvelously. I would try baking it for 45 to 60 minutes – my guess is it will require right around 50-55. Hope you enjoy!